To celebrate the launch of the model year 2016 Volvo cars featuring the recently announced Drive-E featuring Westport natural gas combustion technology, Westport Sweden hosted an event March 25 and 26 at the Volvo test track in Göteburg (Gothenburg). Volvo Cars is the first original equipment manufacturer (OEM) to feature the new Westport system. It will be used on Volvo's new two-litre, direct injection, four-cylinder Drive-E powertrain family, which will be available on the Volvo V60 and V70 2016 models. Westport's Anders Johansson (L) and Per-Inge Kruse present. Over two days of presentations and test drives, Westport Sweden hosted approximately 50 customers, corporate executives, local and industry associations and government representatives including the Canadian Ambassador for Sweden and Canadian consul. Offering this competitive, high performance and low emissions product at OEM standards, Westport has already seen strong interest and orders for the 2016 models. Currently available in Sweden with potential for new dealers elsewhere in Europe, the bi-fuel Volvo V60 and V70 have proven their performance and emissions benefits on the road. The vehicles offer full Volvo warranty and service. 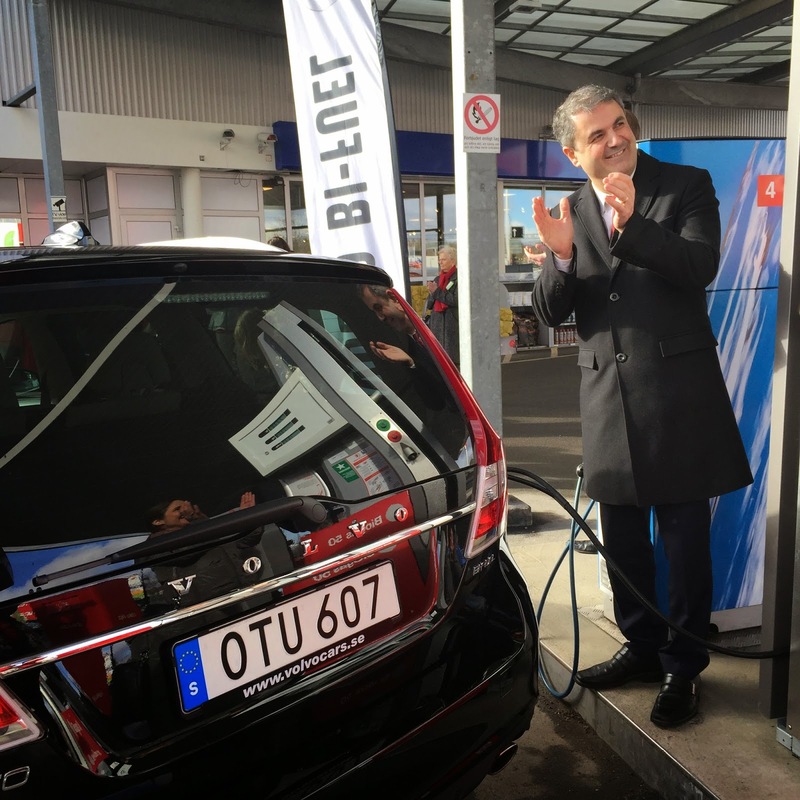 Sweden’s Minister of Energy, Ibrahim Baylan, received a preview of the 2016 Volvo at an event earlier in March, where the seamless switch from petrol (gasoline) to natural gas impressed the Minister. For more information about the bi-fuel Volvo models, contact: sales@westport.com or media@westport.com.